BROOKFIELD, Conn. — Per an affidavit of Brookfield mother Jane Biserni Gallagher, Connecticut Department of Children and Families agents, along with seven or eight Brookfield police, forced themselves into her home with a warrant and assaulted her on October 24, 2015 to remove her then 12-year-old son so he could be thrown into foster care and forced onto psychiatric drugs that had previously caused him dangerous side effects. To this day, young William Biserni is still in foster care, after placement by DCF in psychiatric residential centers, and with little to no contact with his mother. According to the affidavit, this followed a false report by the paternal father that the mother wasn’t allowing him visitation, when in fact, he simply didn’t want to see his son. The legal statement also covers how the paternal father wanted the child aborted to prevent future obligations and was not in the child’s life until age six when a state child support enforcement officer forced child support payments against the mother’s will. For the father, DCF child removal is the perfect scenario as he would no longer have to pay his child support. For DCF, they get federal matching funds when delivering mental health services (a.k.a. unnecessary counseling and forced psychiatric drugging) and even more funds if they put William up for adoption. One of DCF’s top written goals is to maximize federal funding. Of course, the losers are the innocent mother who had to undergo shoulder surgery and a series of upsetting legal custody battles, and William who has been removed from his mother and grandfather, and has been dangerously drugged with ADHD amphetamines and antipsychotics that have caused him weight gain and erratic behavior that never existed prior to the heavy drugging. One of the important illegalities in this DCF action is the violation of Conn. Public Law No. 01-124 of 2001 (http://www.cga.ct.gov/2001/sum/2001SUM00124-R00HB-05701-sum.htm) and its section on how DCF shall not take a child because a parent refuses to put that child on psychotropic drugs. This important Connecticut law also tells schools that they cannot recommend that a child take a psychiatric drug, since of course, they are not doctors and the parents should be in charge of their child’s health care. 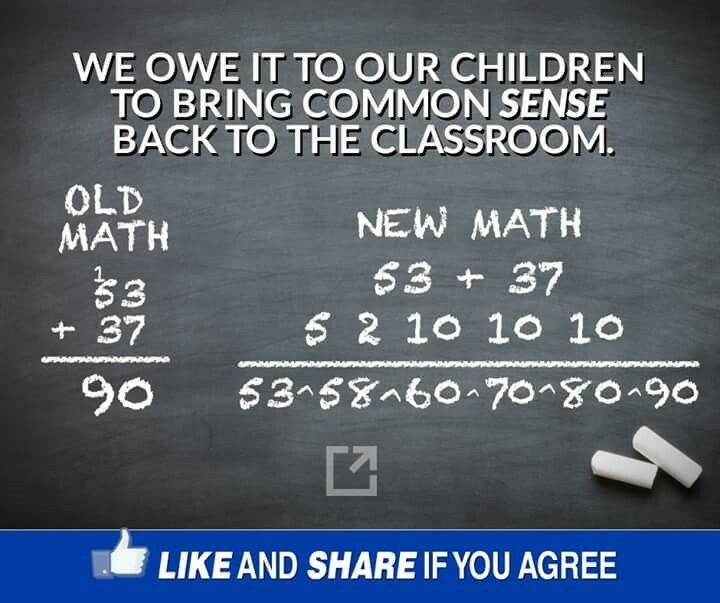 The Conn. Department of Education (DOE), especially since the Sandy Hook recommendations, has been trampling on this section of the law. In the Gallagher affidavit, the public schools were also pushing for psychiatric drugs on William, despite outside evaluations showing that there was no need. The recent expansion of school mental health screening and the threat of a “medical neglect” charge on the parent for not drugging a child that followed the Adam Lanza school shooting in Newtown is actually a bit ironic, along with being very harmful. The irony is that they are claiming that more children need to be identified for mental disorders and treated (i.e., drugged) to prevent future violence, when in fact, Lanza was identified and drugged. Furthermore, many psychiatric drugs, especially antidepressants and antipsychotics, can increase violence and agitation. DCF’s and DOE’s refusal to adhere to this law puts Conn. families at extreme risk. Federal criminal and civil lawsuits have been settled by nearly every major manufacturer of psychiatric drugs for false claims and covering up side effects. Psychiatric drugs are simply amphetamine-like or tranquilizers for the most part and do no more than cover up symptoms at times. They never cure. 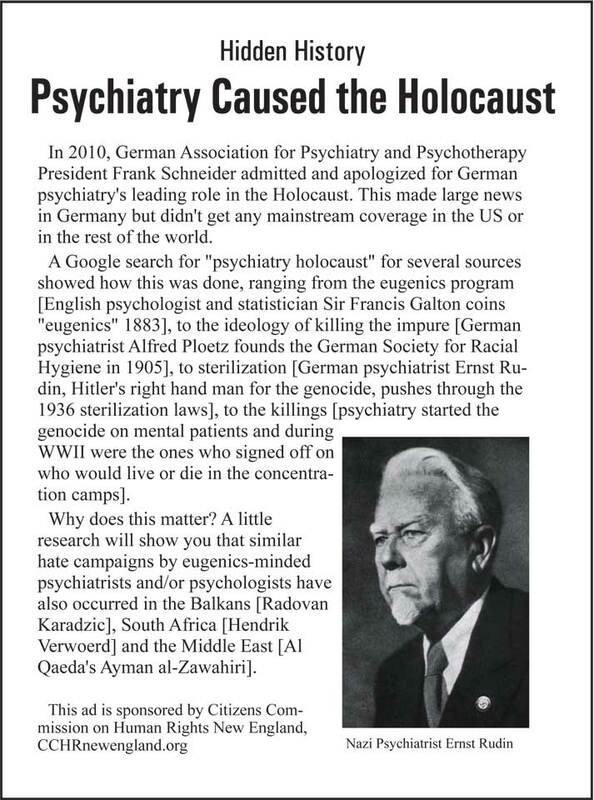 Also, there has never been a medical test to determine a psychiatric disorder which is very unlike medical disorders like cancer or diabetes that are determined through lab tests. Psychiatric disorders are simply subjective and based on behavioral checklists. 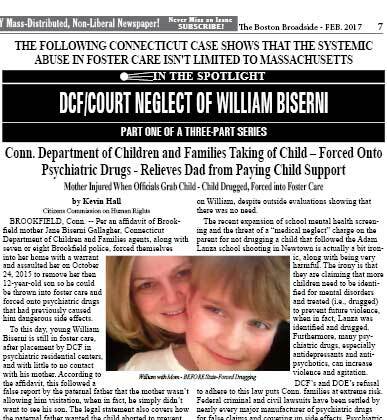 No science, no cures so there should be no way that a government agency or court should be able to force a parent to drug their child, yet it is done constantly and with great force as you can see with William Biserni.